In order to celebrate the CentenaryCAFA and to think about how to continue the next century of glory in the context of the rapid changes in the information age, CAFA Graduate Student Union Academic Dept. 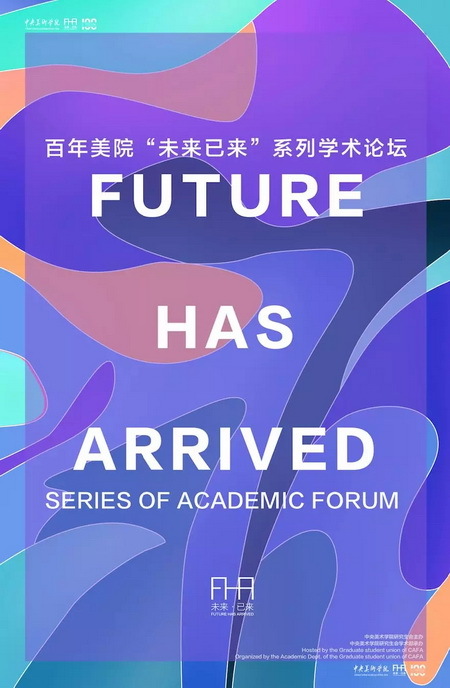 hosted the" CentenaryCAFA 'Future has Arrived'series of Academic Forum". the future has already arrived, and the border no longer exists. We have invited talents from various emerging fields in the non-American Academy to discuss with the teachers and students of the Academy of Fine Arts how to better adapt to the new era of unpredictable change. Discuss with CAFA teachers and students how to better adapt to the new era of unpredictable change. 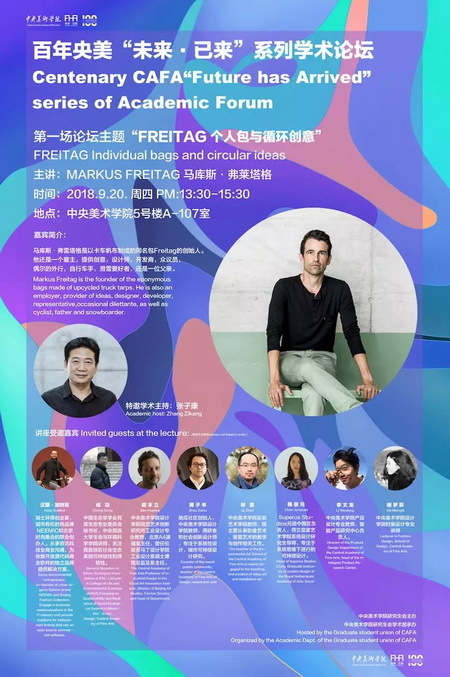 Forum theme: "Freitag Individual Bags and Circular Ideas Personal Package and Cycle Ideas"
13:35-13:45: The host opens and introduces the guests. 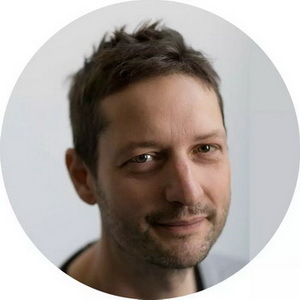 Lecture：Markus Freitag is the founder of the eponymous bags made of upcycled truck tarps. He is also an employer, provider of ideas, designer, developer, representative,occasional dilettante, as well as cyclist, father and snowboarder. Guest Profile: Director of the Art Museum of the Central Academy of Fine Arts, curator of the Today Art Museum. 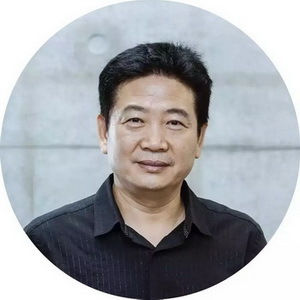 Director of Culture and Art Publishing House, Director of China Art Research and Promotion Center of China Academy of Art, Director of Art Research Center of China National Academy of Art, Vice President of China Academy of Art, China Academy of Art, Editor-in-Chief of Oriental Art and Today Art. Hans Galliker is a self-professed ecopreneur. 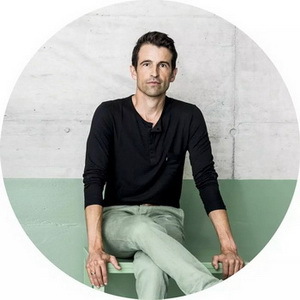 Having grown up in Switzerland working as a farmer, and then in the IT industry and studying business communication, since 2009 Hans’ mission has been to create seismic positive change in the agricultural industry. His dream is that farming will become a substantial, valued part of the world economy by producing healthy products in a socially sustainable and environmentally-friendly way. 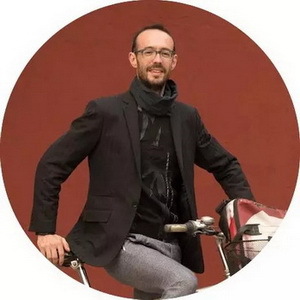 In 2011 he co-founded the urban organic fashion brand NEEMIC and the Beijing Fashion Collective. Hans approaches the sustainability mission through the textile industry, embedded in lifestyle-oriented contemporary culture. 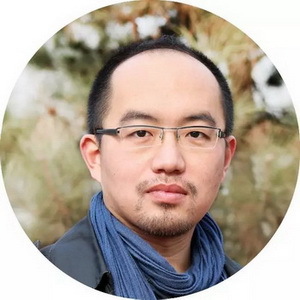 He is also currently building an IT service company that empowers eco-minded organizations with open source-based business software solutions. General Secretary in Ethno-Ecological Association at ESC. Lecturer in College of Life and Environmental Sciences at MUC,Focusing on Sustainability and Resilience of Social Ecological System in Minorities’Areas. The Central Academy of Fine Arts Professor of Industrial Design in the Visual Art Innovation Institute. 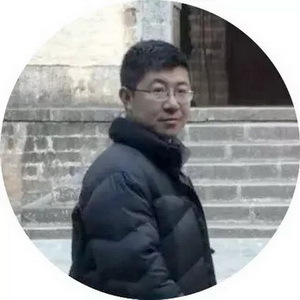 Director of Beijing A4 Studios. Former Director and Head of Department, MA Industrial Design, Central Saint Martins, London. 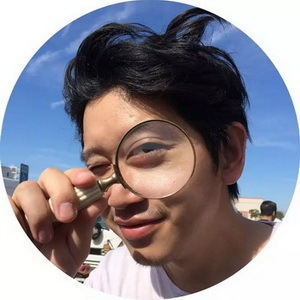 Founder of the sweet potato community, teacher of the Central Academy of Fine Arts of Design, researcher and social innovation designer, focusing on systematic design, urban sustainable design research. The teacher of the Experimental Art School of the Central Academy of Fine Arts is mainly engaged in the teaching and creation of video art and installation art. 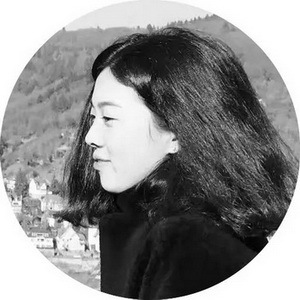 Head of Superus Studios China and the system design tutor at the interior design master department of Royal Academy of Art, the Hague, the netherlands . 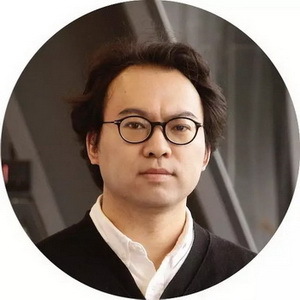 Director of the Product Design Department of the Central Academy of Fine Arts, head of the Intelligent Product Research Center. 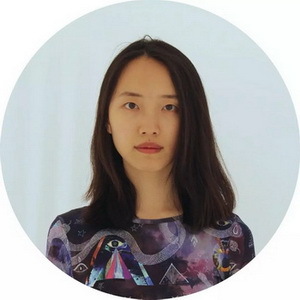 Lecturer in Fashion Design, School of Design, Central Academy of Fine Arts.Young designer.